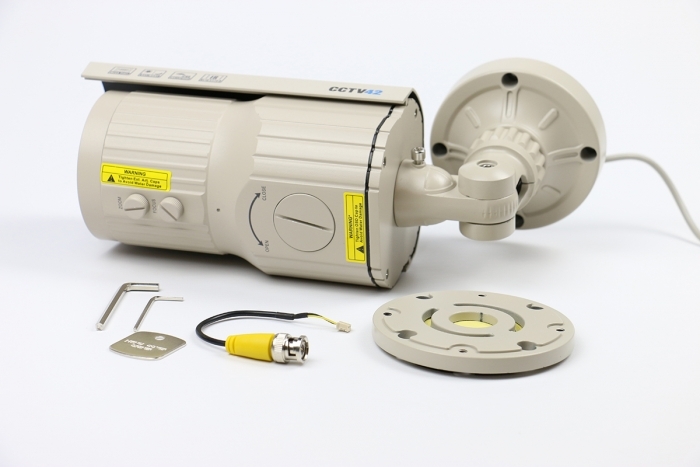 A day / night camera fitted with our most versatile lens for short to mid range applications. 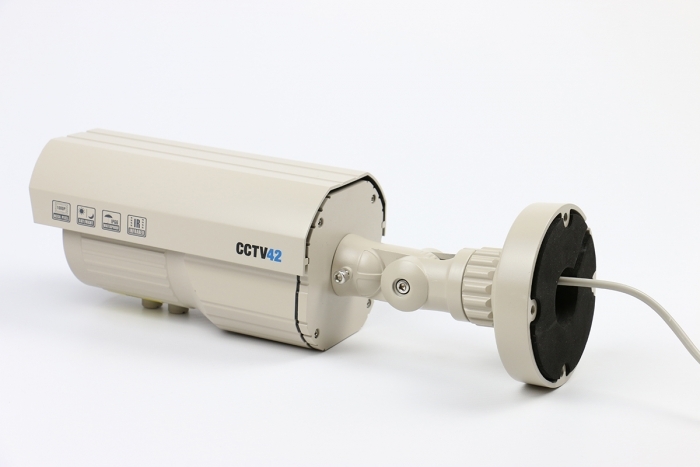 We also offer 9-22mm and 5-50mm day - night cameras for applications where more detail is needed over longer distances. 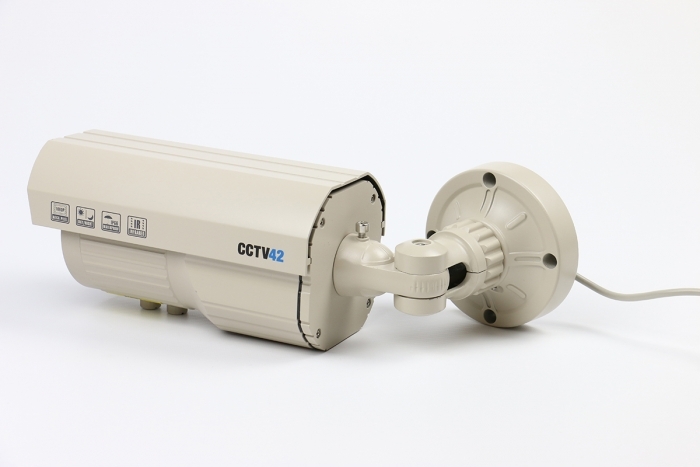 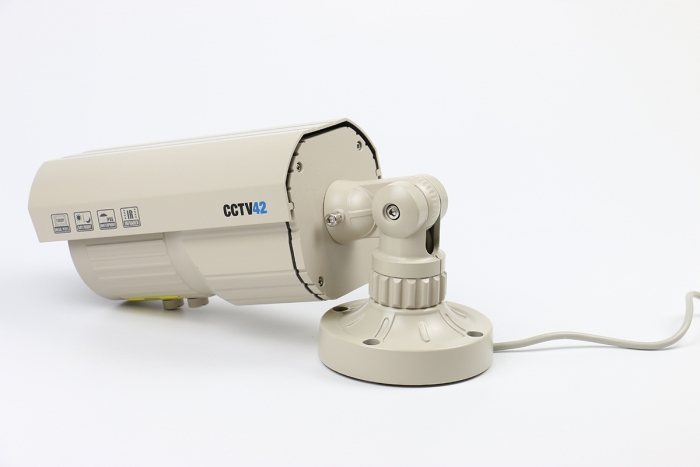 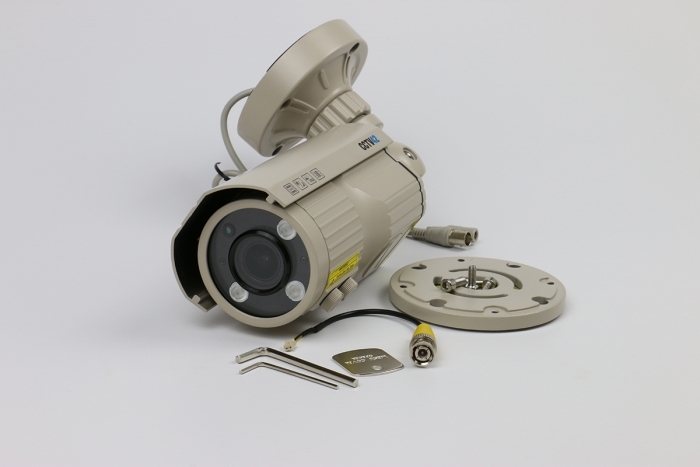 At 2.8mm this camera operates as a very wide angle general monitoring CCTV camera covering 90 degrees field of view. 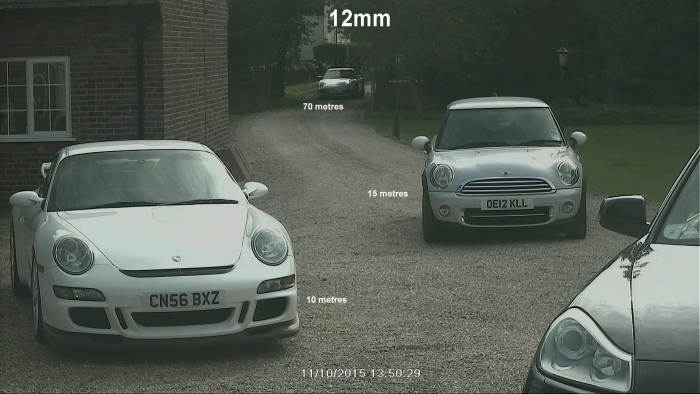 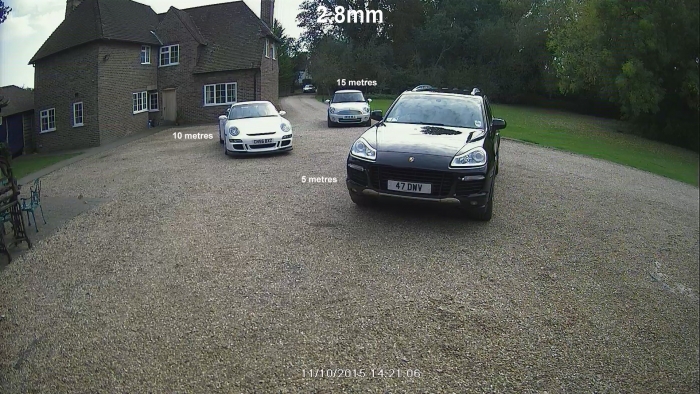 At 12mm the camera allows identification of people up to a distance of around 15 meters. 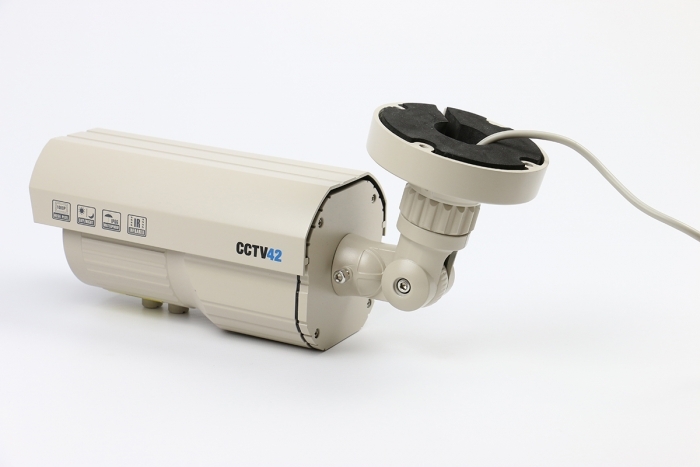 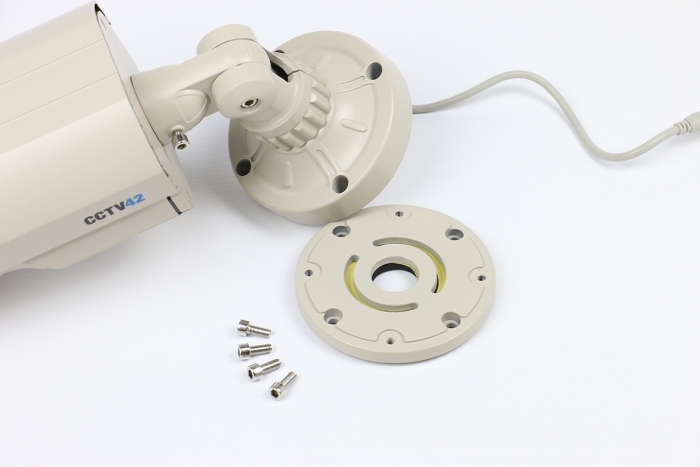 The camera has a 3 axis mount and is supplied with a seperate mounting plate to reduce damage risk during installation. 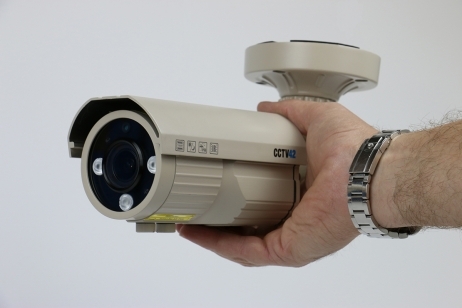 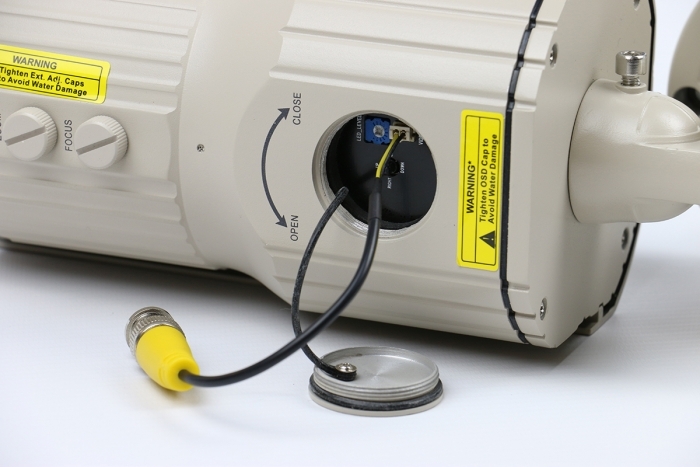 The built in infra red illumination allows filming in total darkness and the IR can be adjusted for brightness. 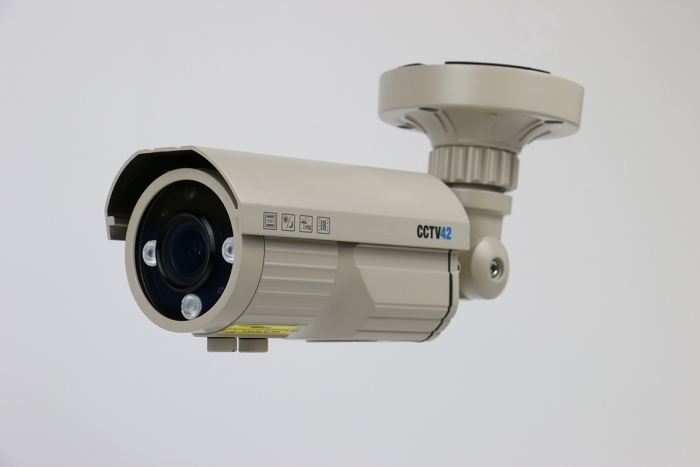 This camera has a video take off point for test / set up monitors and is supplied with a suitable lead.